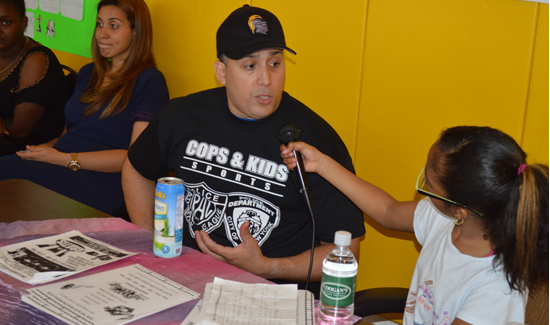 NYPD Officer Victor Matos has a calling: to do what he can to help his community. Victor became a youth officer at the 33rd precinct and decided to go the extra mile when it came to reaching out to teens and kids in the community. He goes to the schools, dropping in on classrooms and talking to children about his job and the jobs of police officers everywhere. “Stop the bullying,” “see something, say something” and the importance of them continuing their education are frequent topics. He also does a walk-through of the precinct with students ranging in age from 5 to 18 years old. With the support of his commanding officer, he created a program that engages young people through sports, jobs, and education. One such even was held this past April at Gregorio Luperon High Schoo, in Manhattan. 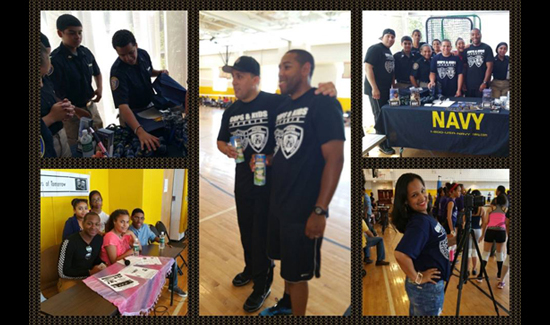 Students played games against police officers from the 33rd precinct, who came on their own time and volunteered for this great cause. Guest speakers at this event included actor Victor Cruz and boxer and MMA fighter Jennifer Santiago. Another event was a Q&A with J.W. Cortes, who is an ex-Marine, an officer with the Metropolitan Transit Authority Police Dept., singer, actor, and activist. A third event found students from Gregorio Luperon playing volleyball against students from Community Health Academy H.S. and members of the Police Athletic League, FDNY EMS, and, of course, NYPD officers. There were tables set up for Workforce 1, Law Enforcement Explorers, Navy, Air Force, and the Army. 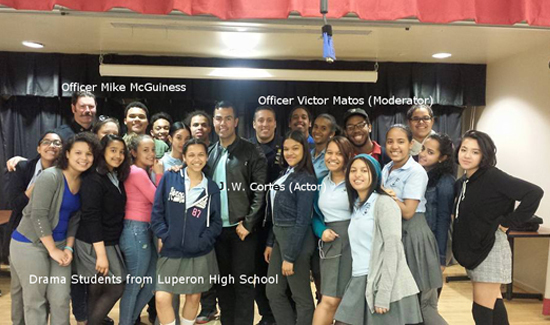 Victor also arranged for a panel of guest speakers, including actor Michael Diaz and and entrepreneur Trenna. Both spoke about how they’ve dealt with challenges and how they overcame their fears to follow their dreams. Covering the event were aspiring reporters from ACDP’s (Community Association of Progressive Dominicans) media club. Police and community relations have become stronger because they are seeing each other from a different perspective. The teens feel more comfortable now dealing with cops. The feedback is positive. I’ve heard teens say after a game “Wow, cops are cool.” Not only do these types of events help bridge the gap between community/youth and police, but they also get kids to believe in themselves and follow their dreams.